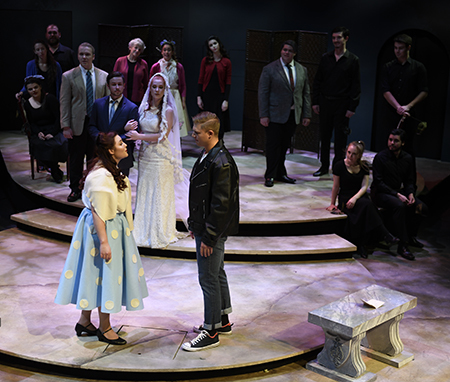 Programs of opera scenes are pedagogical standards in music schools, but Kent State Opera’s fall excerpts offered something special this time around. 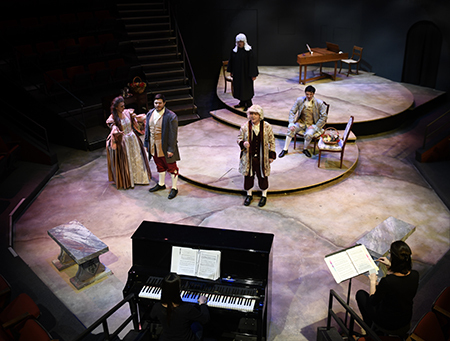 The premiere of senior education major, oboist, and composer Scott Little’s one-act opera, The Story of an Hour, along with two large chunks of Mozart and Berlioz revealed deep talent among Kent’s voice students in cleverly staged performances by Marla Berg with music direction by Jay White. 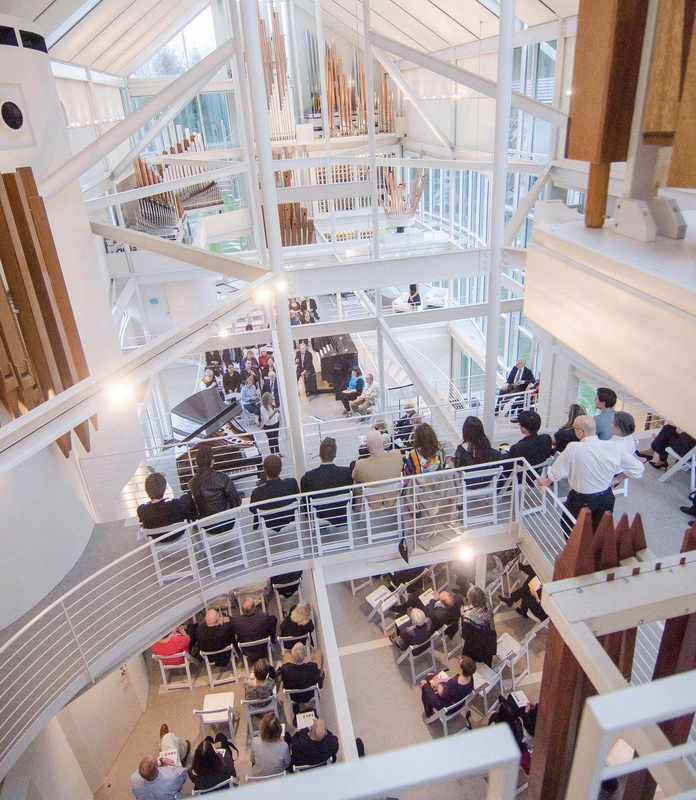 Karen Ni Bhroin and Tori Petrak conducted, and pianist Vicky Tong fluently covered the orchestra parts. 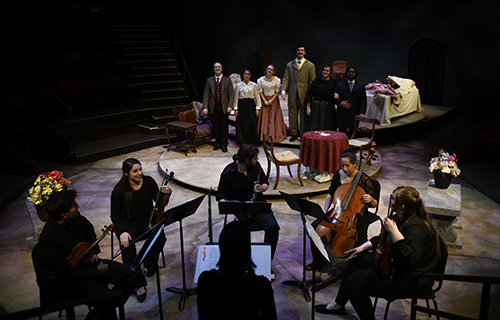 “Marriage: Inside Out,” the ambitious program in Wright-Curtis Theater on Saturday, November 17, began with the third act of Mozart’s The Marriage of Figaro — the point where da Ponte’s plot becomes complicated and lots of bodies come into play. Presented in three-quarter round, Act III boasted assured performances by Charles Austin Piper as Count Almaviva, Marley Liebermann as the Countess, Heather Morrison as Susanna, and Jason Howie as Figaro. 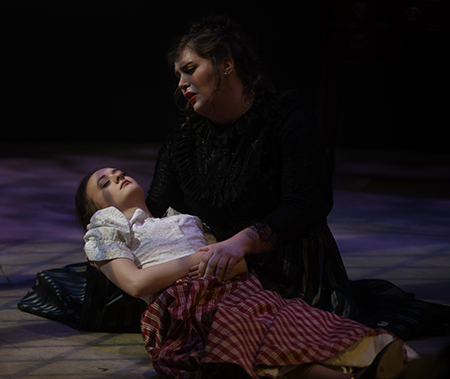 Rachel Black was genuinely funny as the wrong-footed page Cherubino, and supporting roles were well-sung by Kelly Harper (Marcellina), Henry Hantak (Bartolo), Jesse Reed (Don Curzio), Marie Lineman (Barbarina), and Jordy B. Vargas (Antonio). 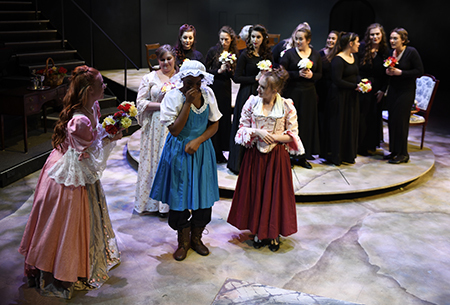 Anna Hylton, Abigail Kraeer, Sara Poff, and Racquel Ritchie made up a delightful quartet of peasant girls, costumed — as were the rest of the cast — by members of the all-student production staff. 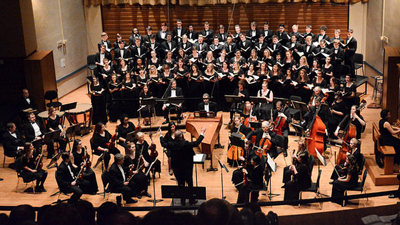 As a nice touch, recitatives were sung in English, arias and ensembles in Italian. Figaro segued directly into scenes from Act II of Berlioz’ Béatrice et Bénédict, based on Shakespeare’s Much Ado About Nothing. Connecting those excerpts was spoken dialogue from the play extracted by Berg. There was a funny transition from play to opera when the stage crew took the hook to a grandstanding actor by cutting the lights. 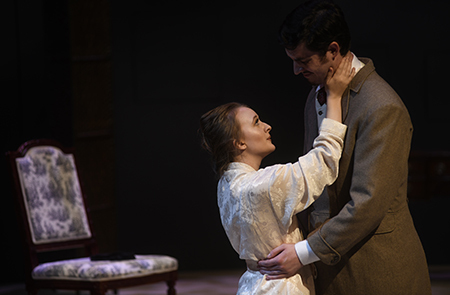 Act II involves the machinations of friends of Béatrice and Bénédict to get the two to admit they love each other (a fact they ultimately discover during the wedding of Claudio and Héro). Natalie Butchko (Ursula), Jesse Reed (Leonato), and Brian Hirsch (Claudio) completed the principals. 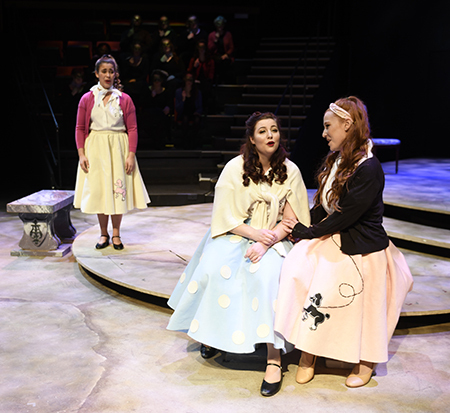 Musically, the act revolved around a lovely trio by the women, and of course, it ended with a wedding whose processions moved up and down the aisles of the theater. 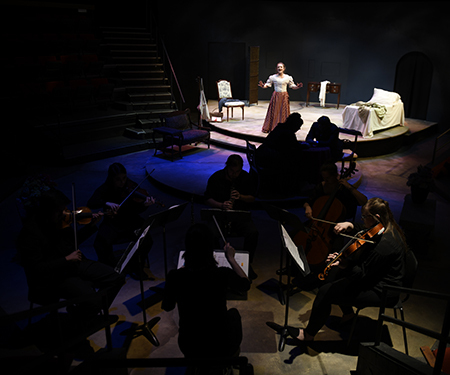 The Story of an Hour — the opera — began when librettist Tim Tibbits suggested Kate Chopin’s 1894 short story to composer Scott Little as a possible subject. The plot involves Louise Mallard, a married woman who feels stifled by her subordinate role to her husband Brentley, and is plagued with a weak heart besides. To tell the whole story is to give away its surprise ending, but suffice to say that it’s tragic for Louise. 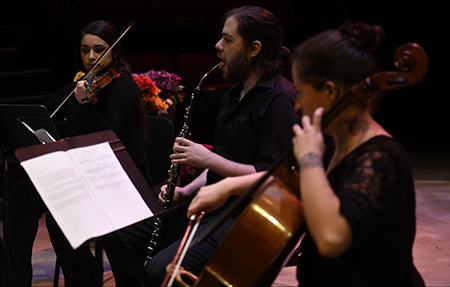 Scored imaginatively for oboe doubling English horn plus string quartet, Scott Little’s opera is a signal achievement for an undergraduate composer. 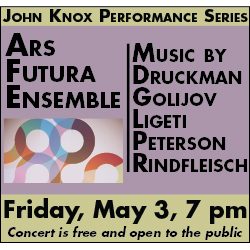 He has a natural feel for setting words, and writes purely instrumental music with an individual voice, adroitly using imitation and other contrapuntal techniques to achieve attractively complex textures. The clear, high-voiced soprano Heather Morrison returned from her Mozart role as Susanna to sing an affecting Louise, and the robust baritone Charles Austin Piper doffed his Almaviva costume and donned a suit to portray the overbearing husband Brentley. 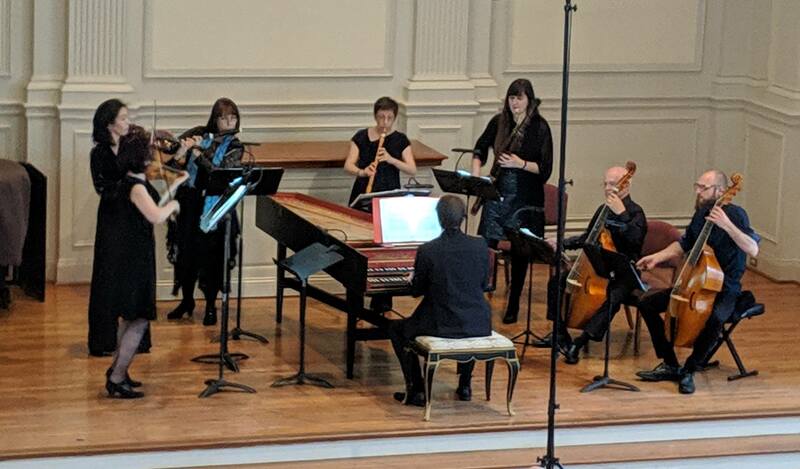 The resonant mezzo-soprano Mackenzie Henry made for a compellingly bossy Josephine Richards, Louise’s sister, and Joshua Sanchez Muniz, Henry Hantak, and Natalie Butchko ably supported the principals as Tom Richards, the doctor, and the maid. 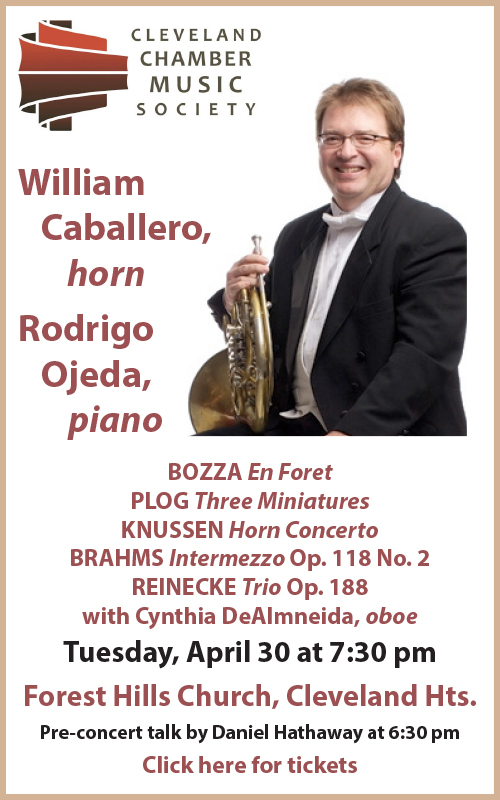 Oboist and English hornist Ian Daugherty, violinists Jahna Stanton and Giuseppe Tejeiro, violist Virginia Ashley, and cellist Viviana Pinzon played Little’s score sensitively. 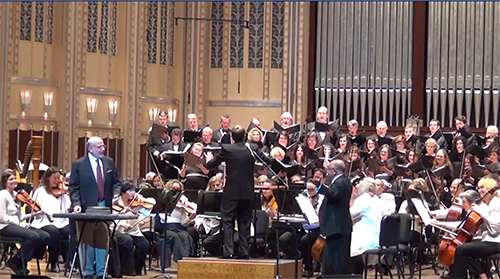 Daugherty flawlessly held out a long, high D (with diminuendo) at the very end of the piece. Only one thing was jarring in The Story of an Hour: some spoken dialogue suddenly interrupted the musical flow, and for no apparent dramatic reason. Perhaps Scott Little will rethink that and supply vocal lines instead. This opera has legs, and is well worth that little bit of revision. 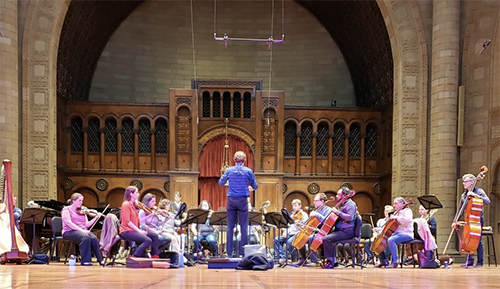 Published on ClevelandClassical.com November 27, 2018.